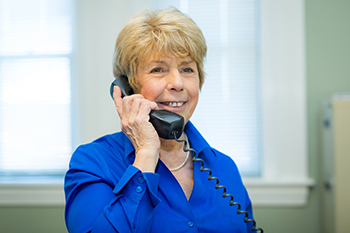 Estelle has worked in nursing home business offices for 20 years and has been with us since 2006. She is well-versed in managing third-party insurance issues, including those involving Medicaid, Medicare and private health insurance. Her background affords us with insight into the policies and procedures of skilled nursing facilities. She is also versed in community Medicaid issues to help elders and the disabled fund care in the home whenever possible. She is our resident genealogist and enjoys her three grandchildren, music, films, roller skating and kayaking.